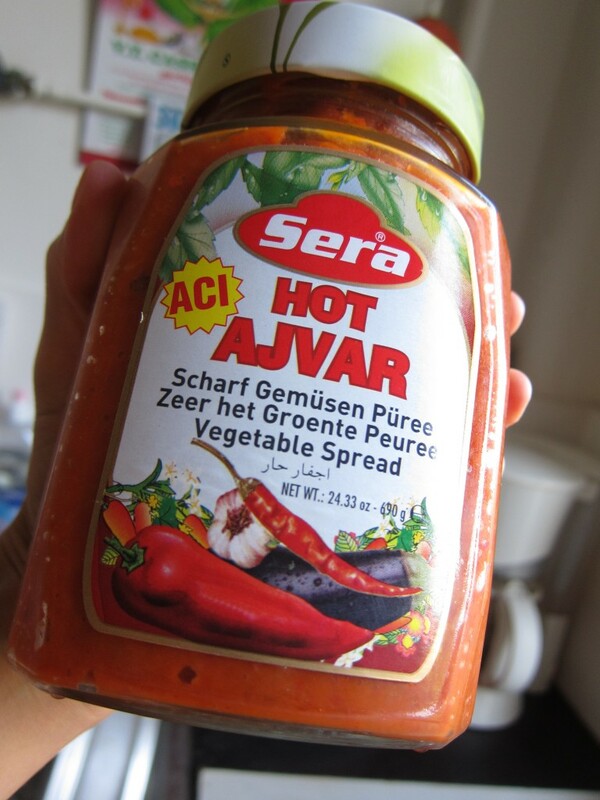 This week’s Accidentally Vegan feature is… Ajvar! We owe our friends in the Balkans a big hvala (thank you) for Ajvar, a tangy, bright-orange spread that tastes amazing slathered on just about anything. Made from red bell peppers, eggplant, and garlic, this versatile condiment is equally delicious spread on slices of baguette, as a dip for veggies and chips, or as a topping for pasta or baked potatoes. Don’t be put off by the words “hot” or “spicy” on the label: this stuff packs about the same fiery punch as your favorite ketchup. It’s a type of relish, not a brand, so you may find different manufacturers. In the US, look for Ajvar at your nearest Middle-Eastern our European specialty market. If you strike out, there’s always Amazon. (Podravka brand ajvar is available on Amazon). Visiting Europe? Ajvar is available at most urban supermarkets throughout Europe.